Pre owned luxury watches, handbags and jewellery - Xupes. Xupes - Luxury Watches, Fine Art, Photography and Antiques. Antiques & Fine Art Catalogue. 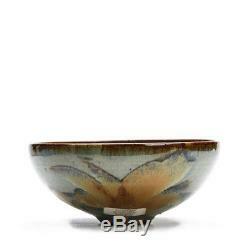 VINTAGE STUDIO COLOUR GLAZED BOWL ALAN WARD 20TH C. Scroll Down for more large images below text. 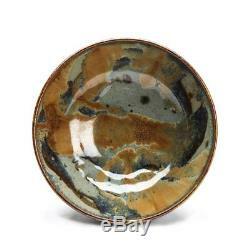 Height 8cm, Diameter 18,5cm. 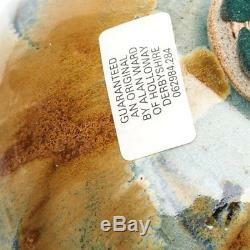 Alan Ward incised signature, impressed monogram and paper label. 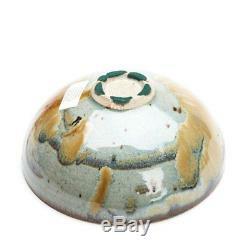 A stylish vintage stoneware studio pottery bowl or rounded form standing on a narrow rounded unglazed foot and decorated in coloured glazes with textured rust like inclusions. 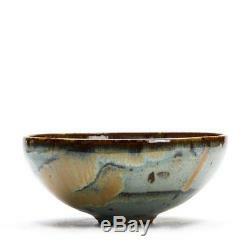 The bowl has an incised signature to the base, an impressed monogram to the edge of the foot rim and has an original artists paper label attached. We cannot and will not declare items below the sale value. This item has been fully inspected in house. All items are researched thoroughly by our experts who have accumulated over 30 years of experience, we check authenticity and provenance in line with the strict standards of our Xupes Promise. We always include a detailed condition report and high definition images, this ensures absolute transparency for the customer. We are in no way affiliated with any of the brands we sell. This is a private sale. This watch is guaranteed 100% authentic as are all items we sell. 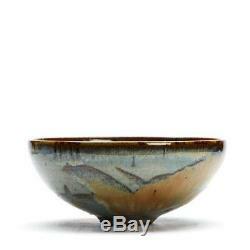 Please take a moment to view our other items. Xupes is a web based company dealing in fine watches, jewellery, art and antiques and associated luxury goods. The company was established in 2009 and bases its trading on strict policies of absolute honesty, integrity and professionalism. We consider you, the client, as paramount to the success of our business. All our products are fully backed by our guarantees giving you total piece of mind. We also have exclusive access to one of the most exciting photographic archives accumulated over the past 65 years. Xupes Limited is a registered company in England & Wales registration no. Xupes Limited is not associated with any of the brands listed. We sell only branded watches. We do not cover accidental damage or loss. We sell fine jewellery and work with specialist suppliers to bring you honest and accurate descriptions. 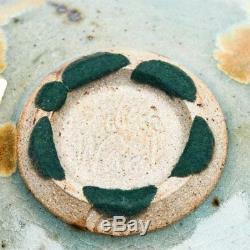 We can however modify items (such as resizing rings) although there may be a small charge. However any tampering or alteration will invalidate this guarantee. 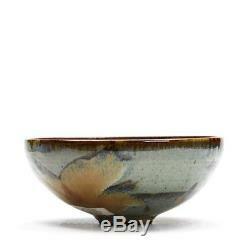 The item "VINTAGE STUDIO COLOUR GLAZED BOWL ALAN WARD 20TH C" is in sale since Monday, October 16, 2017.